Our Solar Jet Pro presence in Colorado and the Vail Valley extends with our engagement with TEDx Vail. Our President Sean Jeremy Palmer has been working as Communications Director along with event Curator Kat Haber, Event Director Courtney O’Brien and Lead Producer Ashley Cawthorne to make 2017’s REVOLUTION a success. 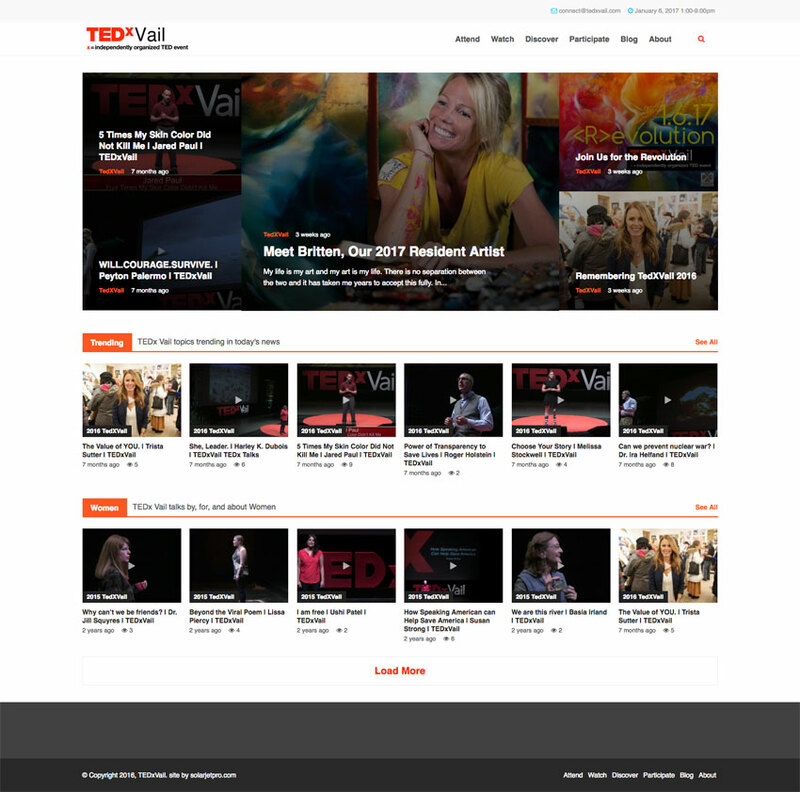 In addition to our strategic marketing support, Solar Jet Pro has offered our web development expertise in this revitalized interface TEDxVail.com – the primary goal is connecting our presence to the larger TED universe, a passionate and engaged community whose educational efforts are changing the world.